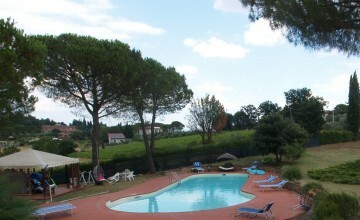 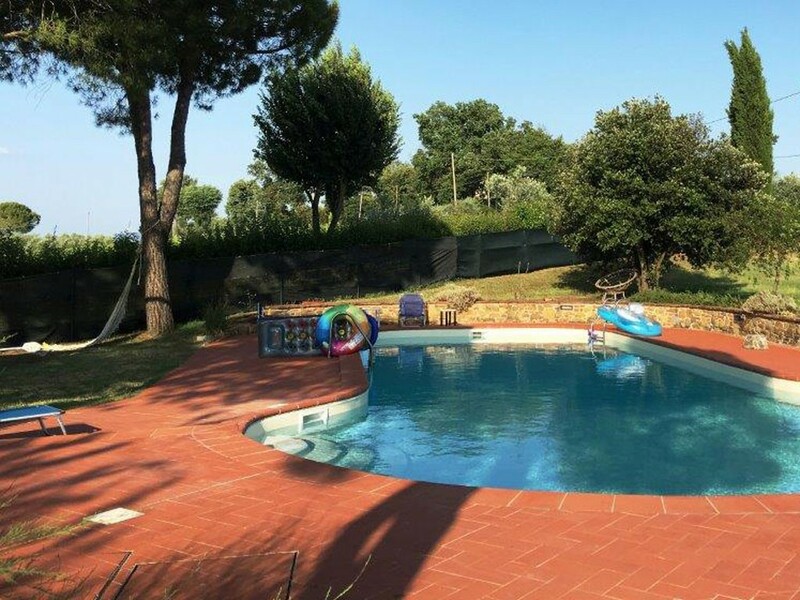 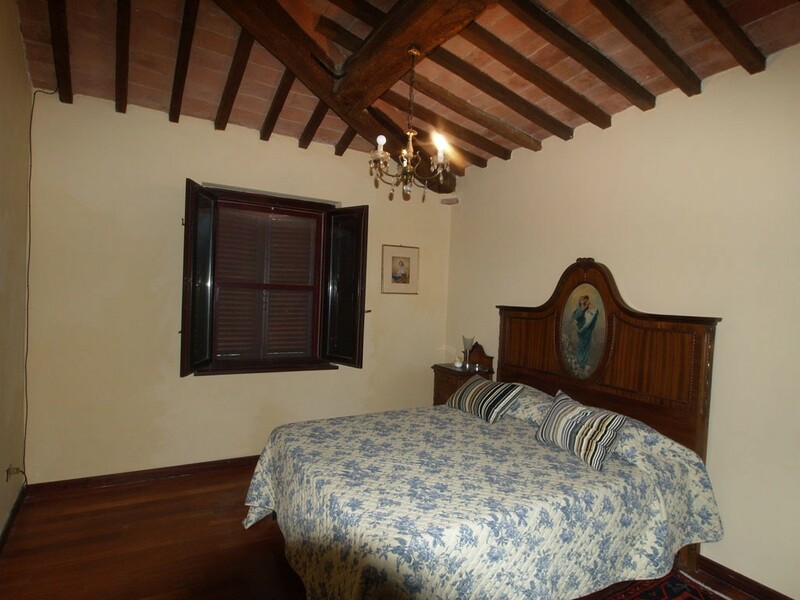 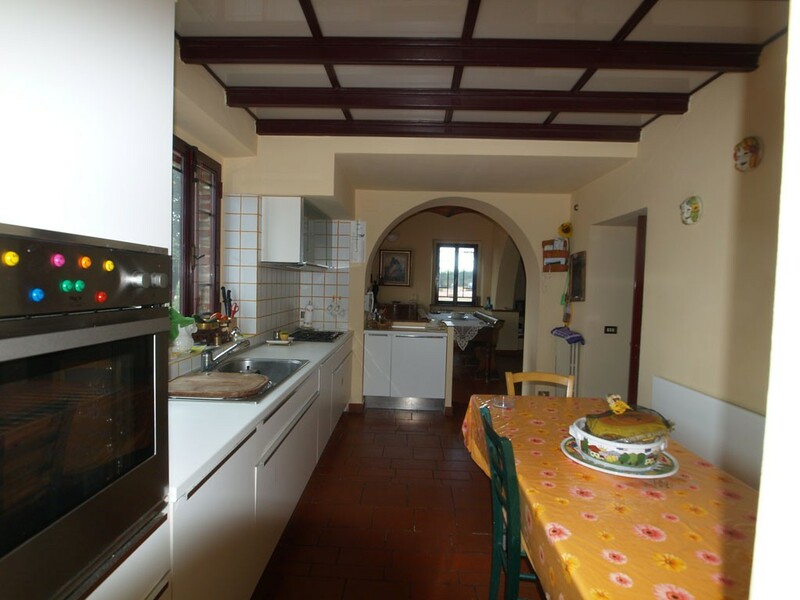 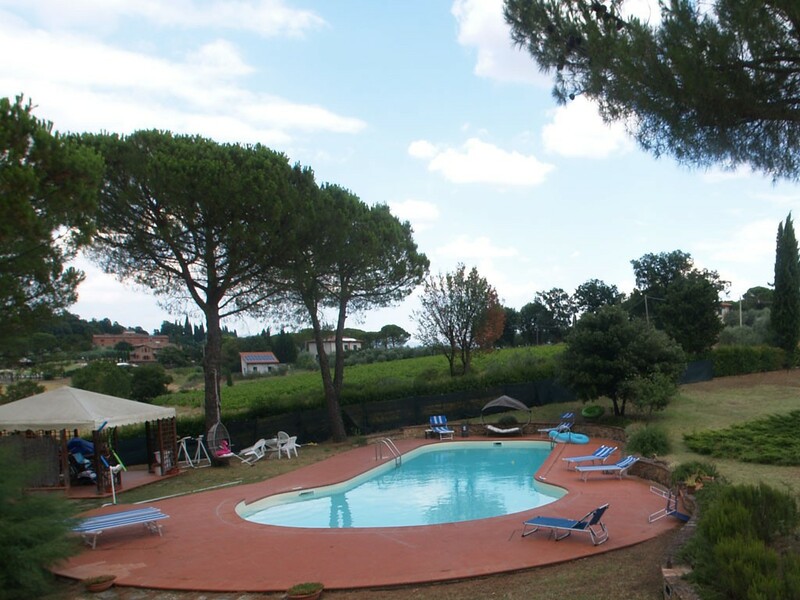 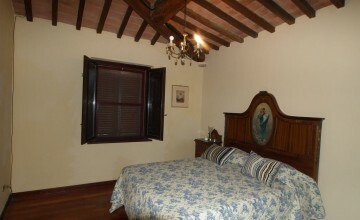 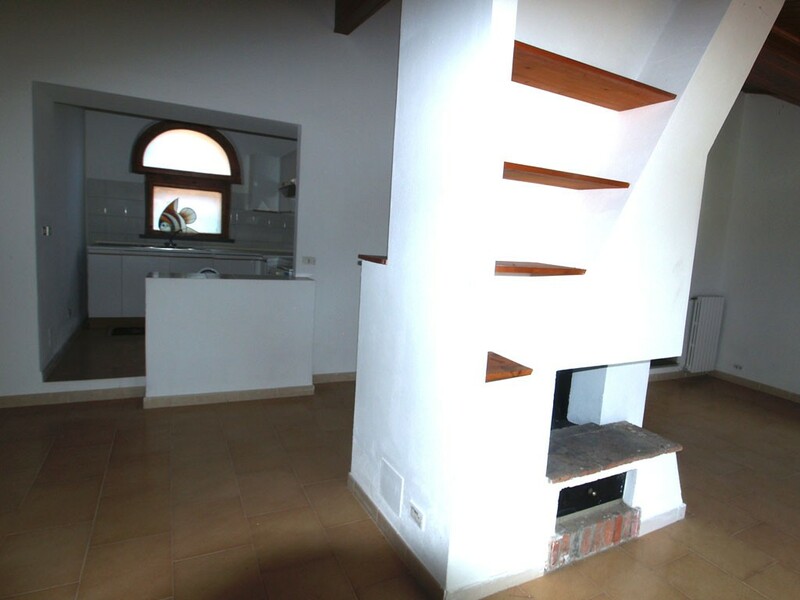 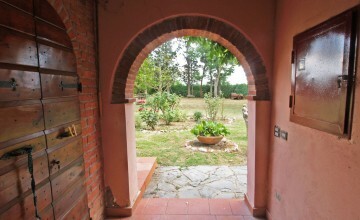 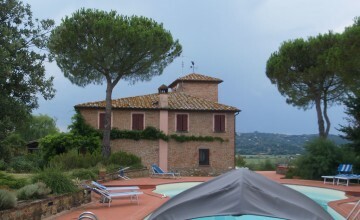 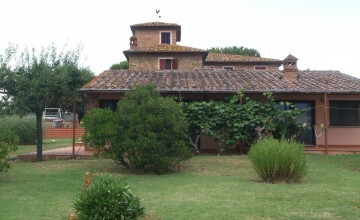 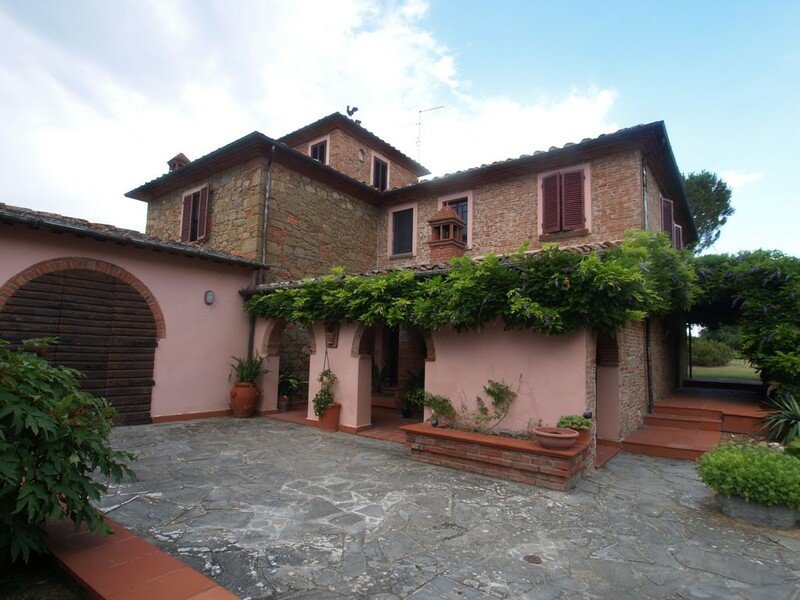 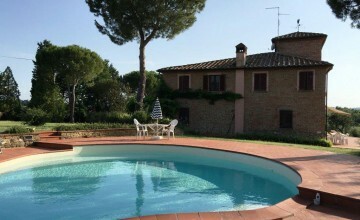 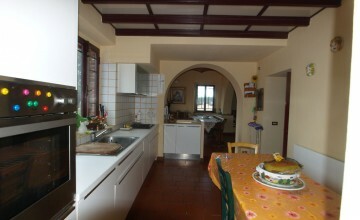 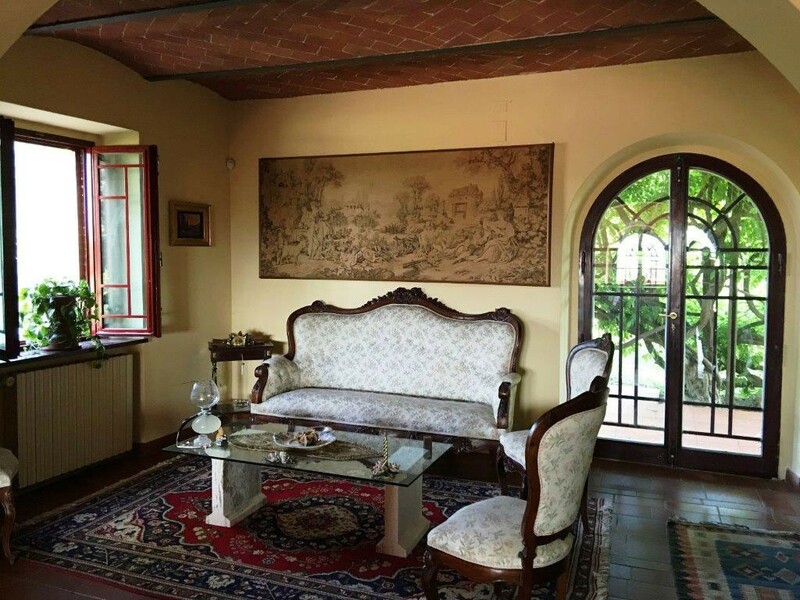 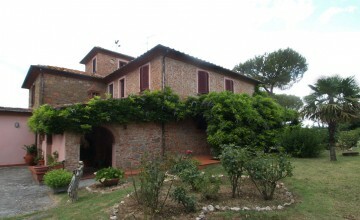 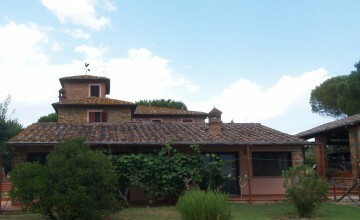 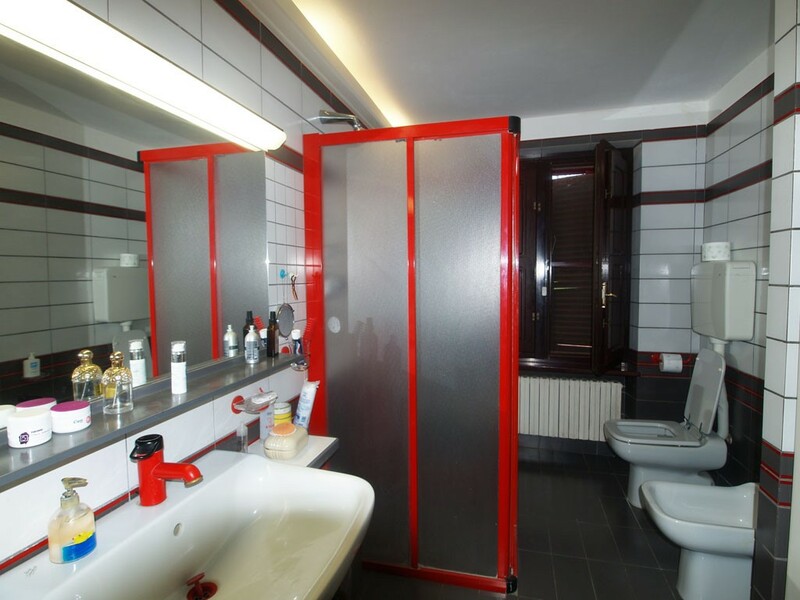 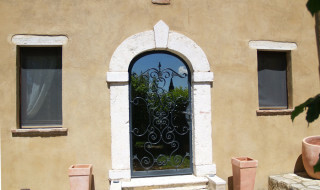 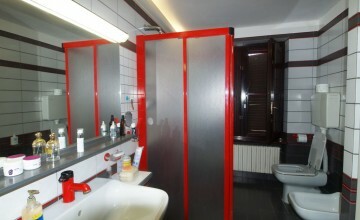 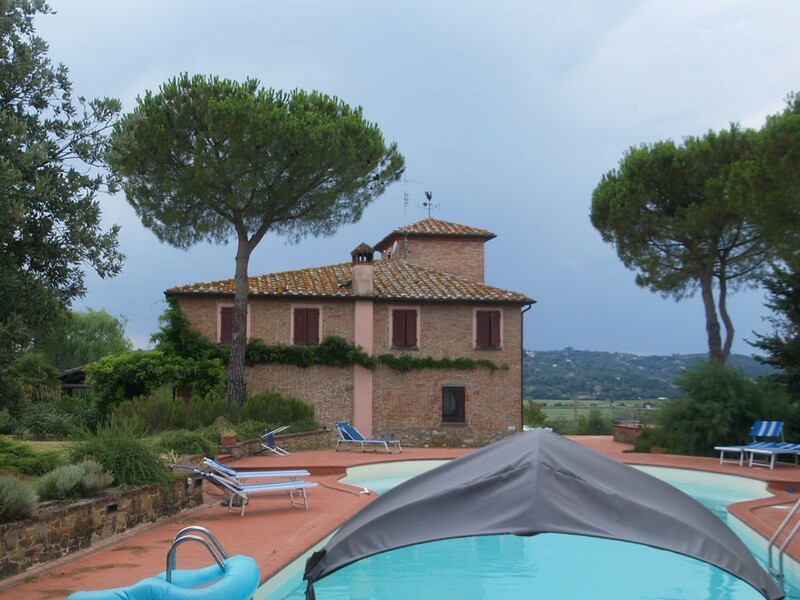 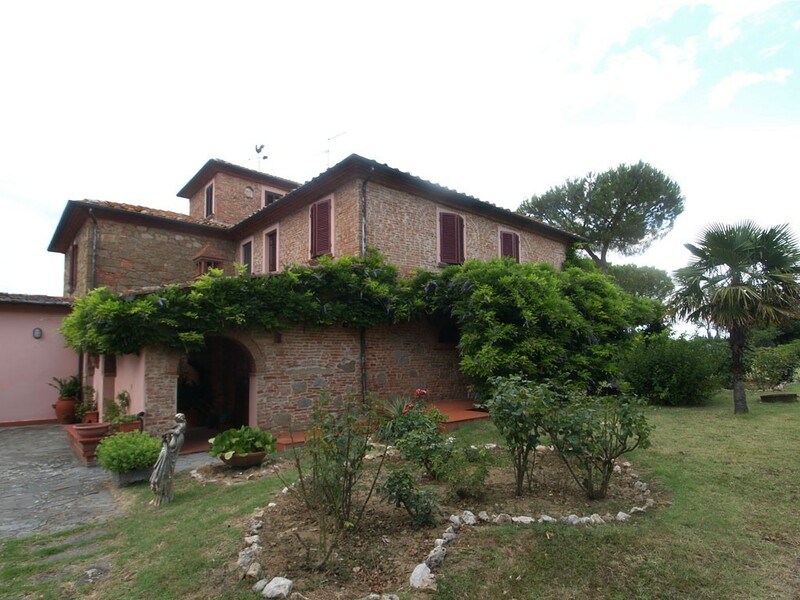 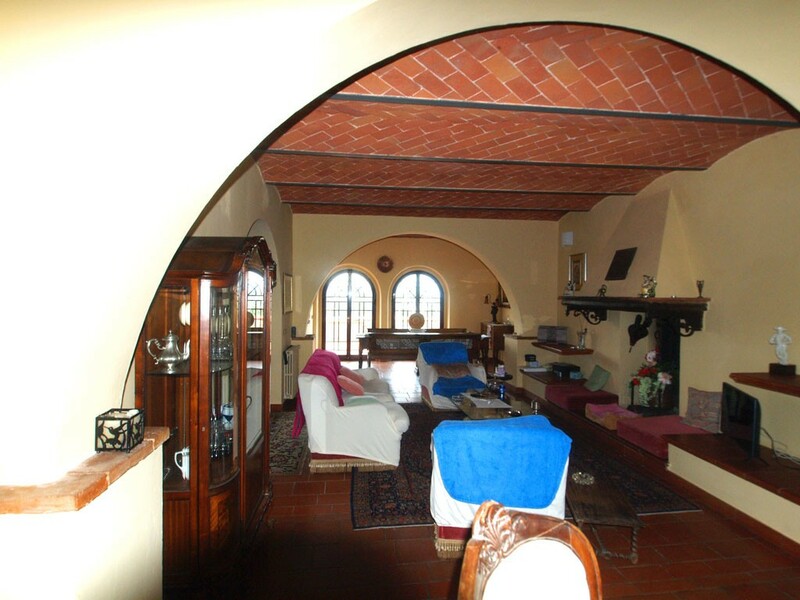 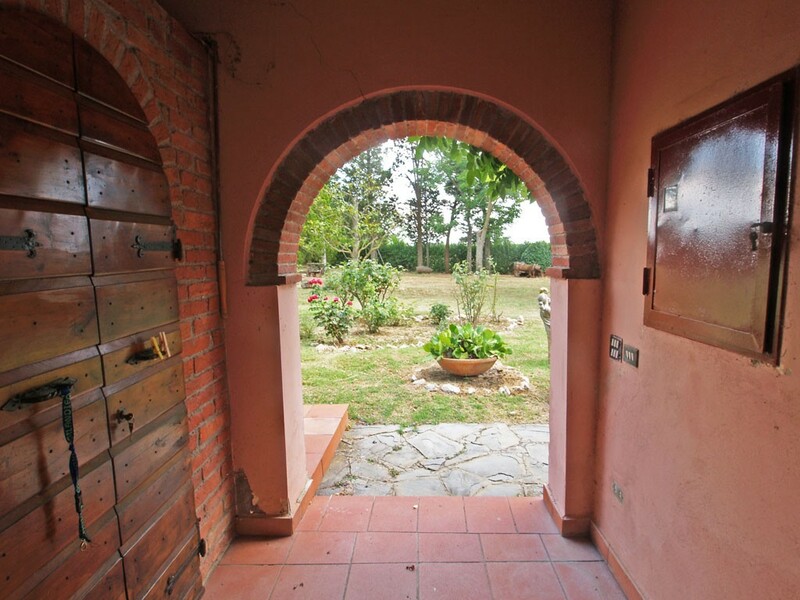 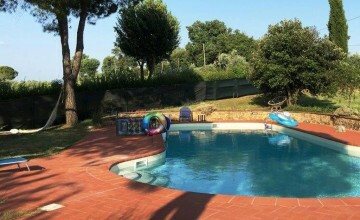 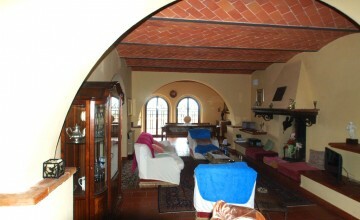 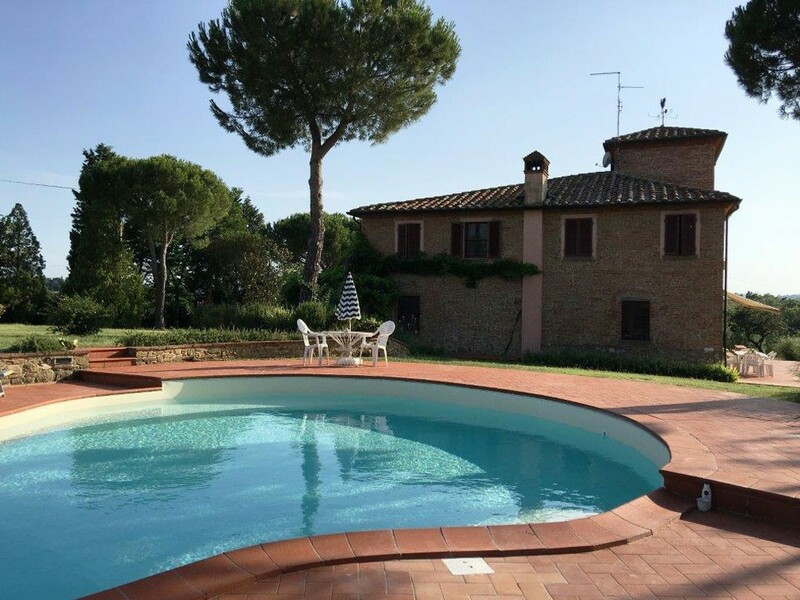 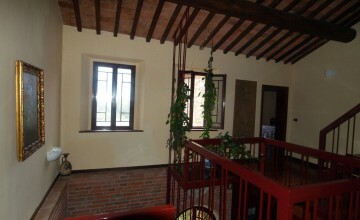 JKM-1002 Five-bedroom house with guest house and garden with pool in panoramic position, 2.5 km from Foiano della Chiana. 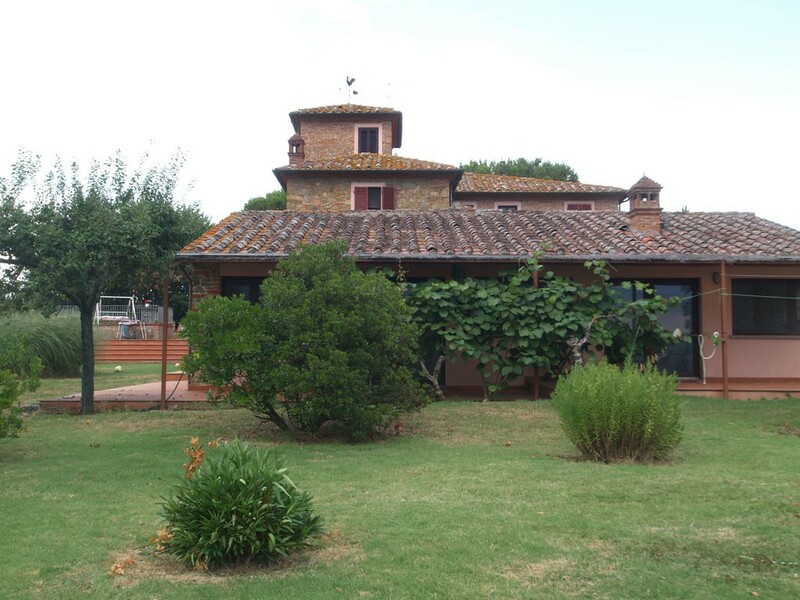 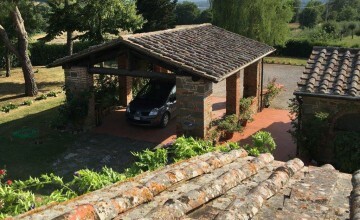 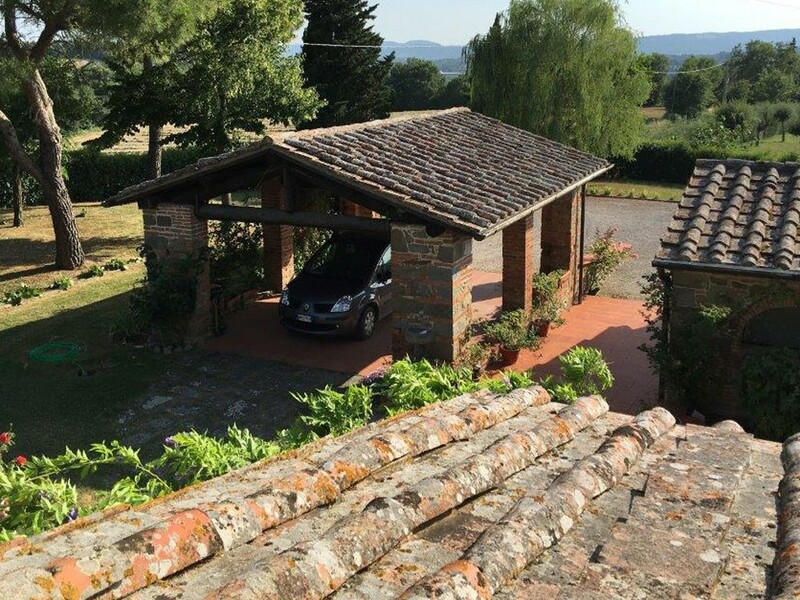 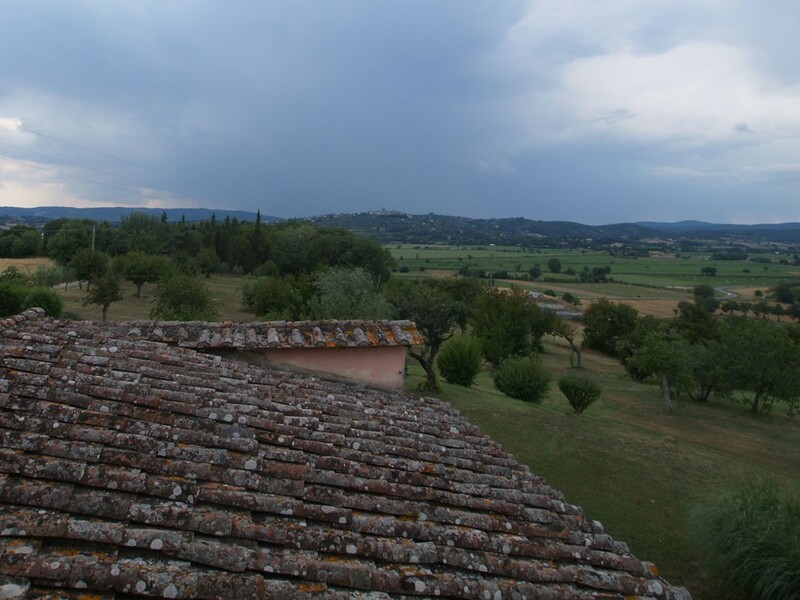 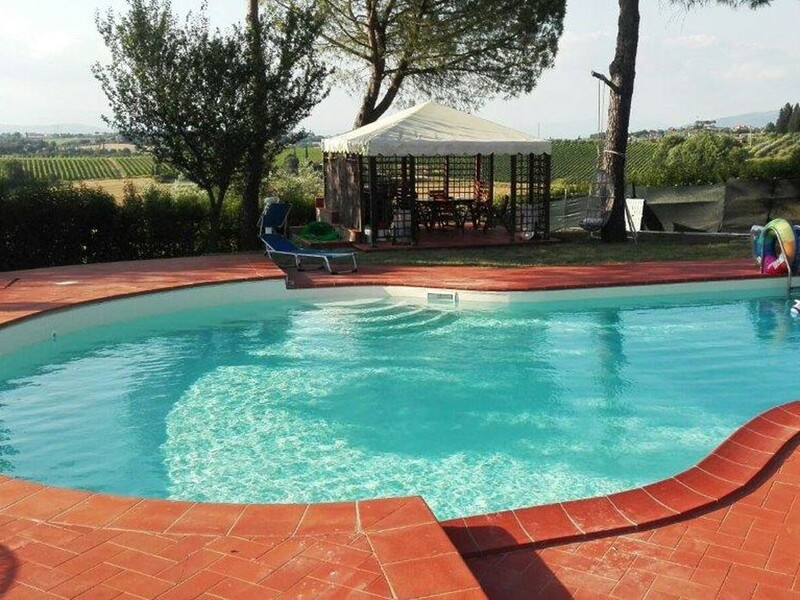 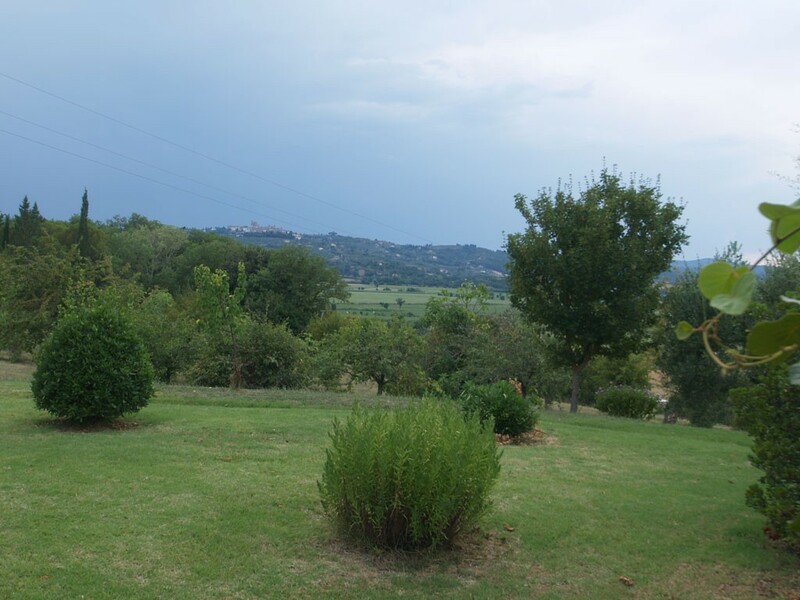 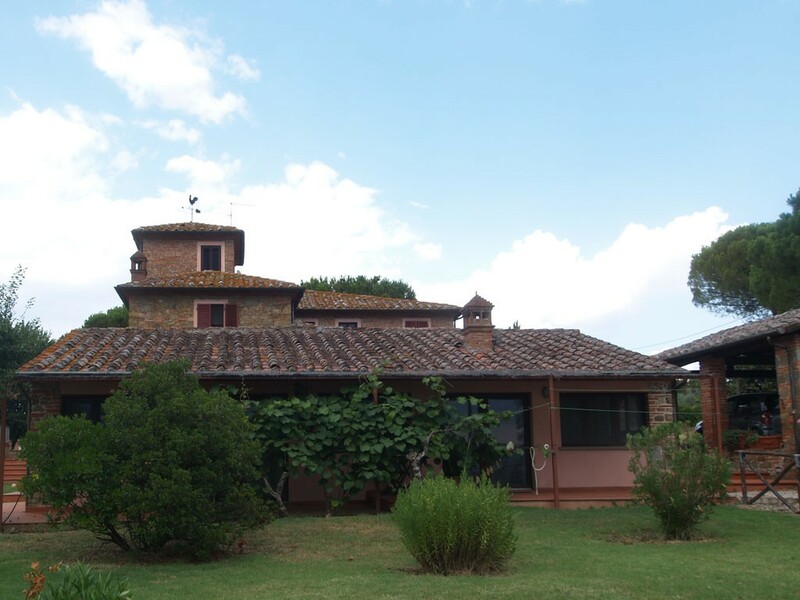 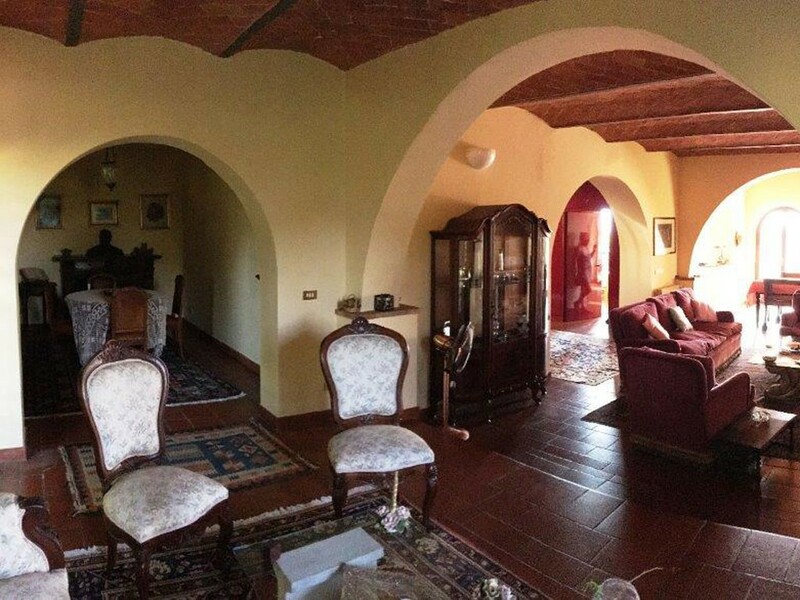 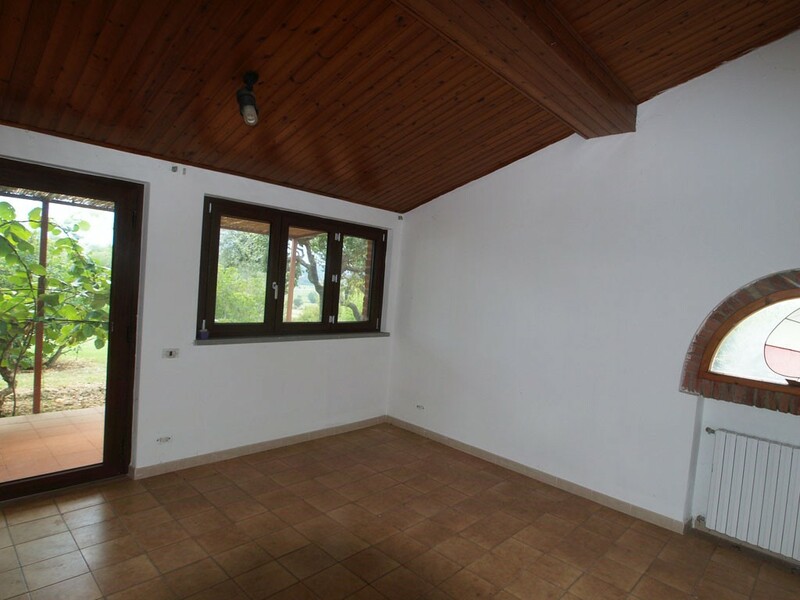 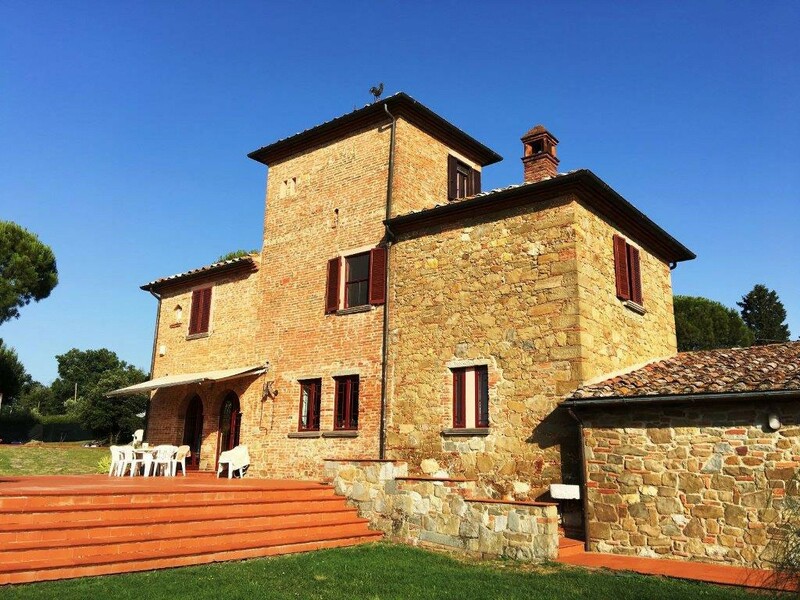 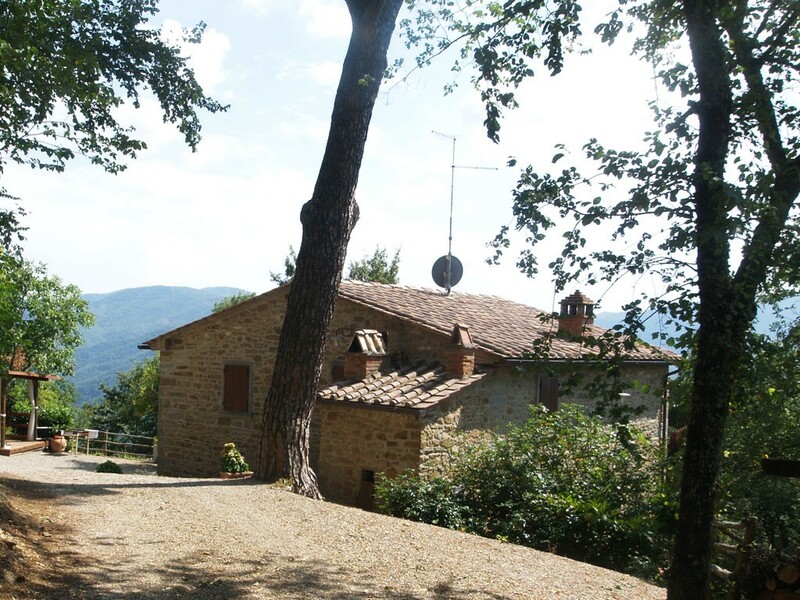 The property is located not far from Foiano della Chiana, which has all services, and also close to A1 motorway and Siena-Perugia highway. 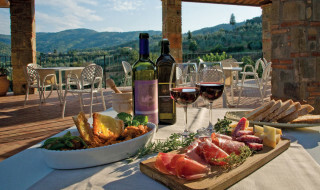 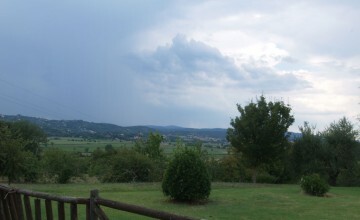 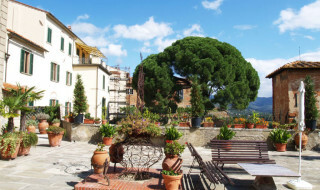 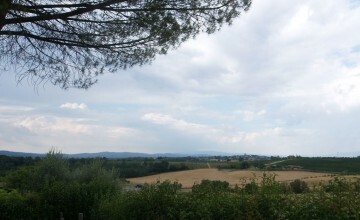 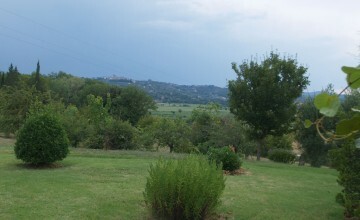 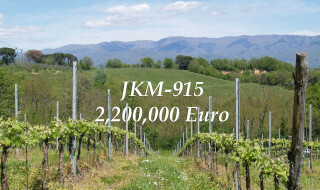 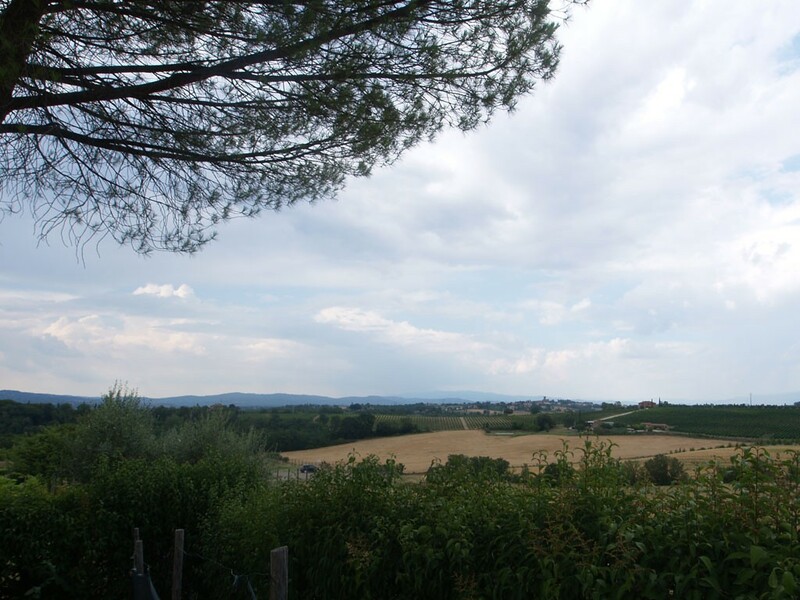 Surrounded by green fields and vineyards it stands on a small hill with views of Valdichiana valley. 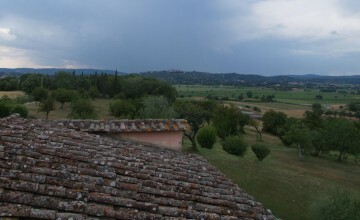 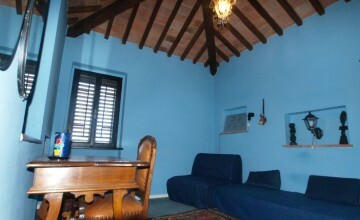 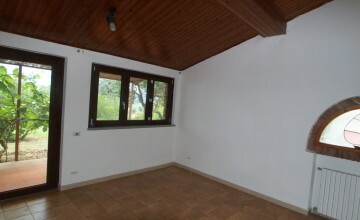 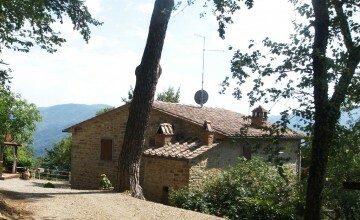 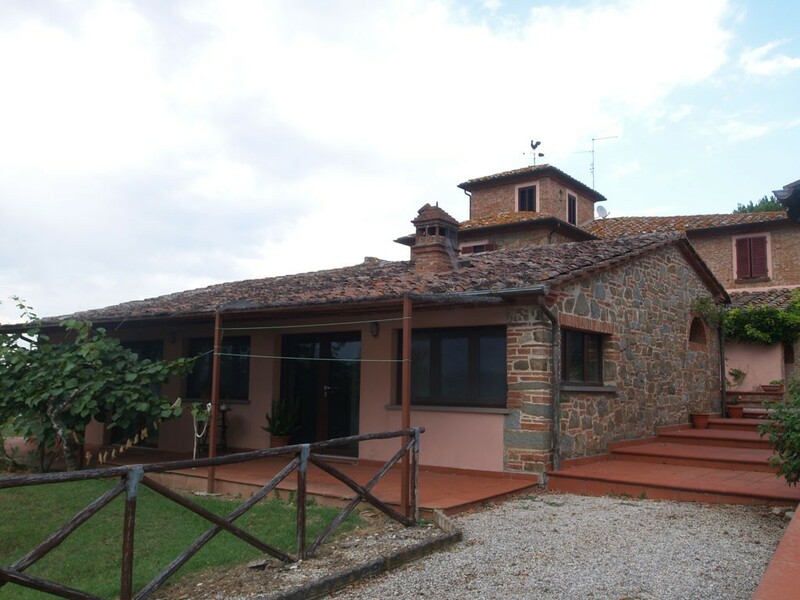 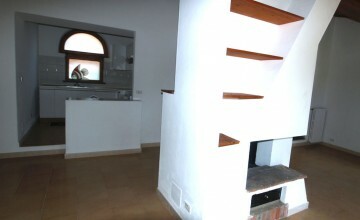 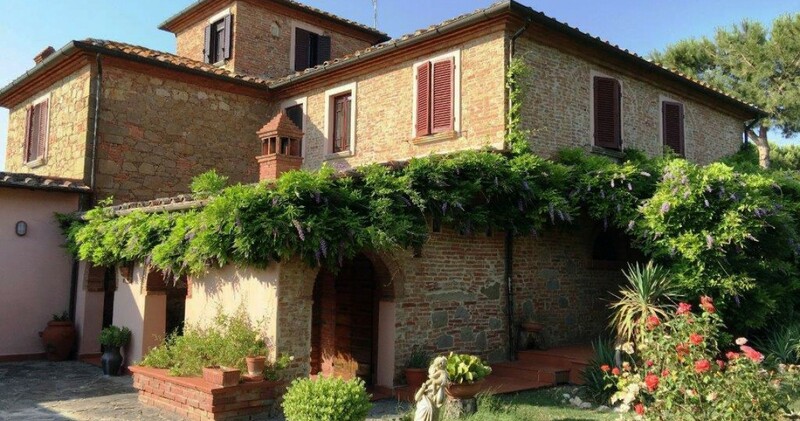 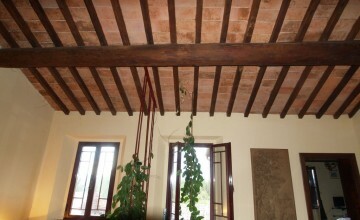 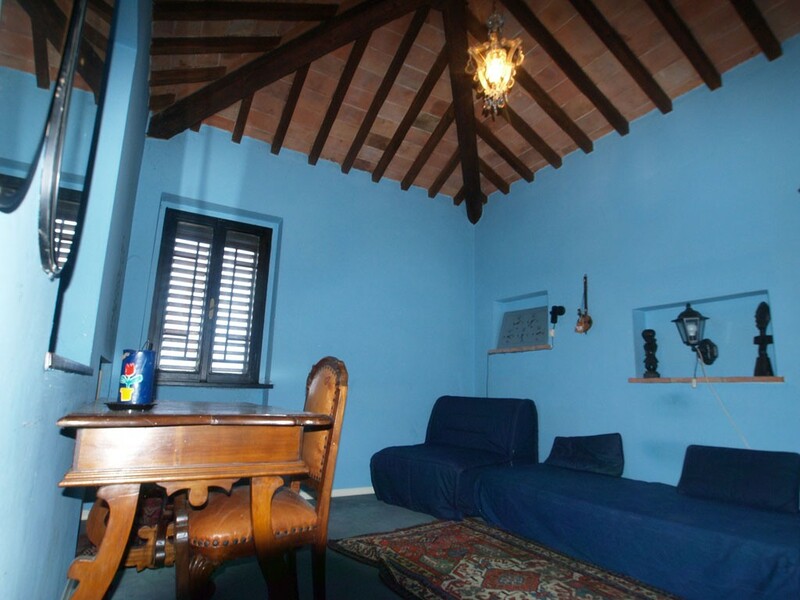 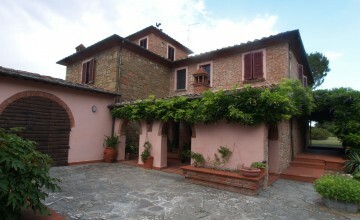 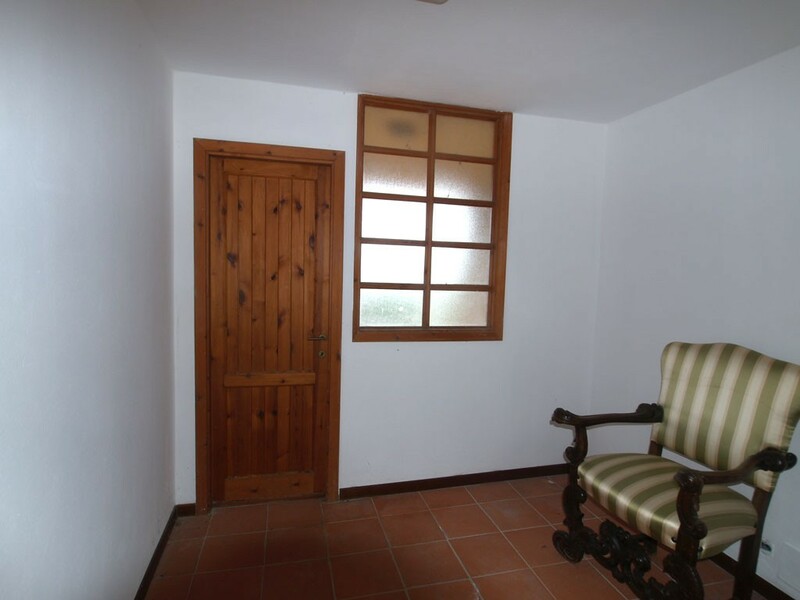 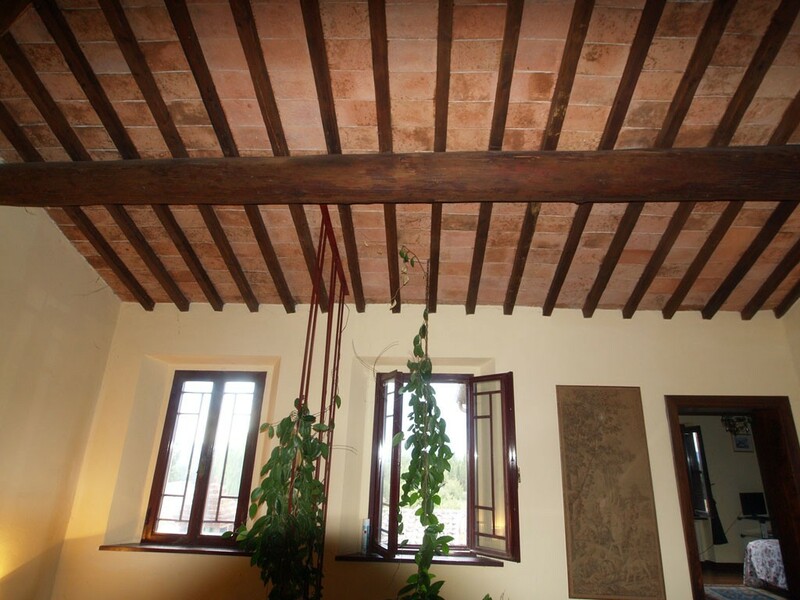 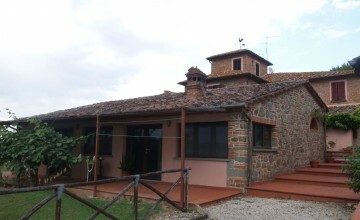 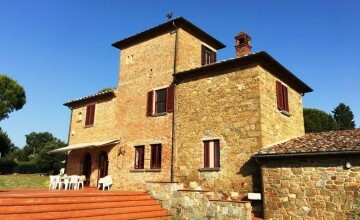 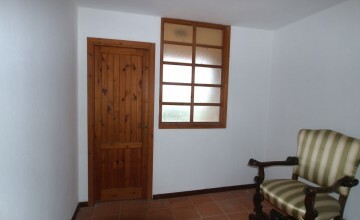 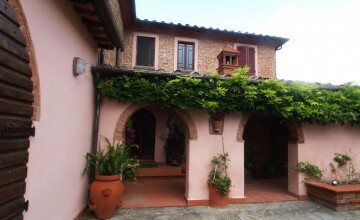 The property consists of a beautiful stone house (400 sq.m. 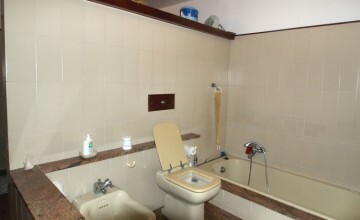 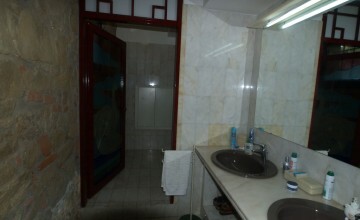 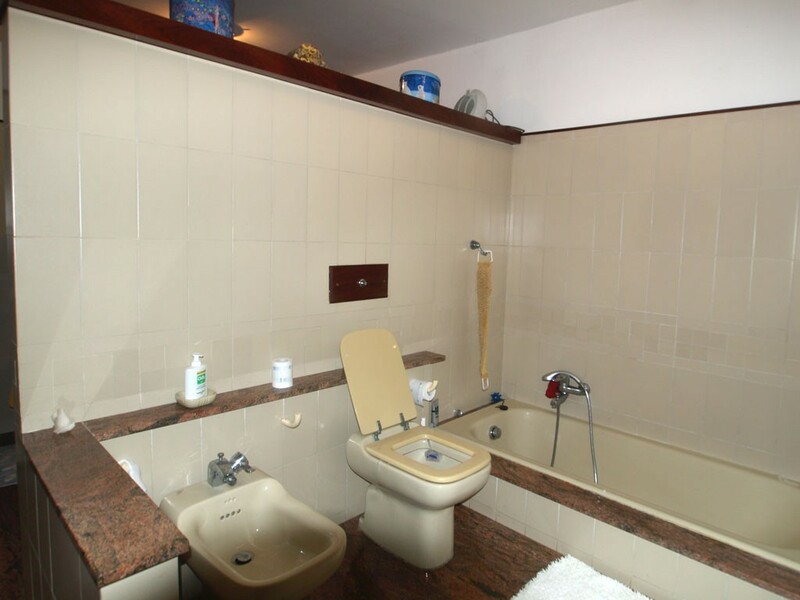 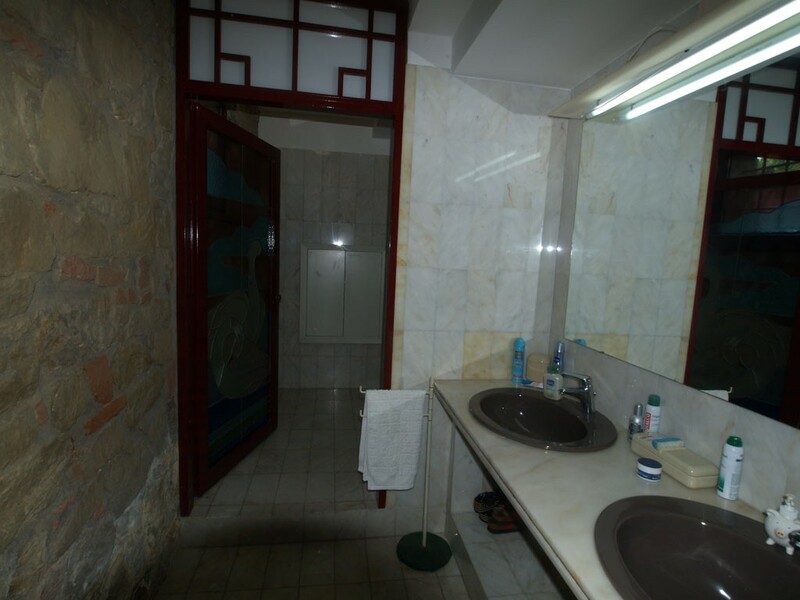 ), guest house (60 sq.m. 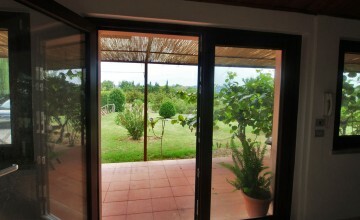 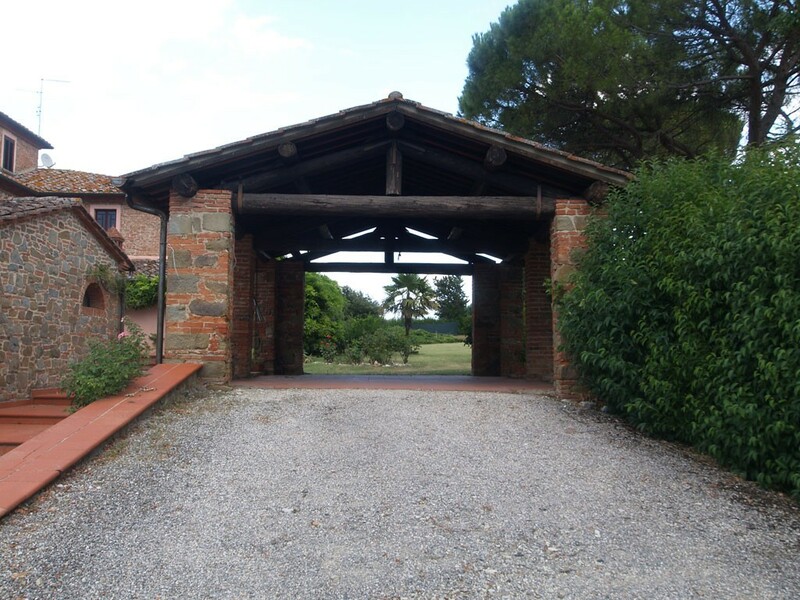 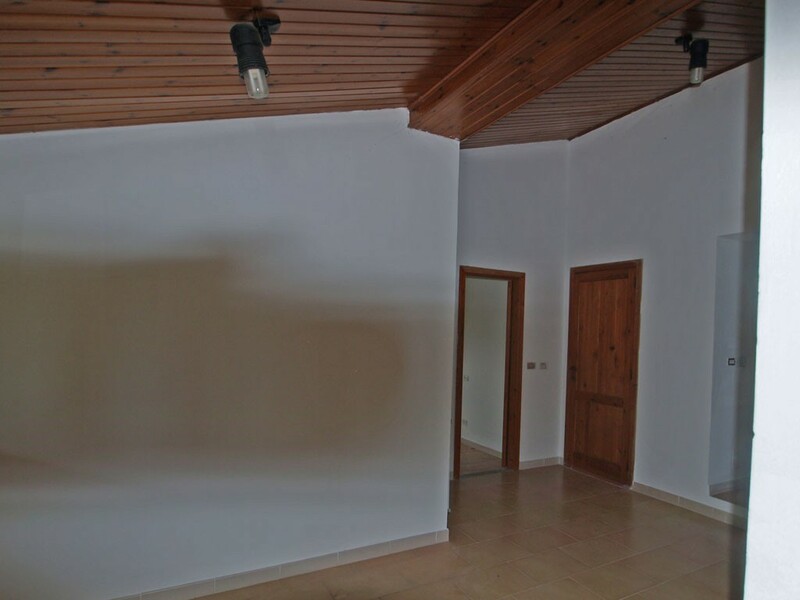 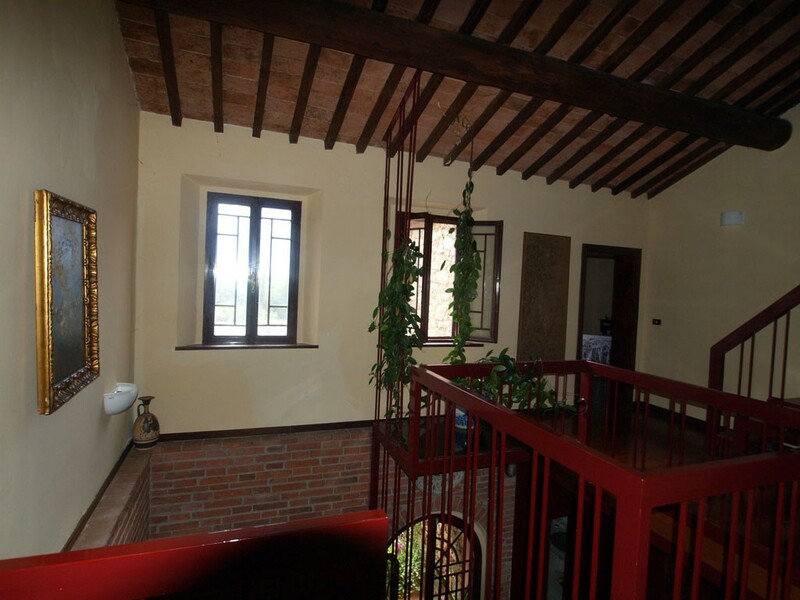 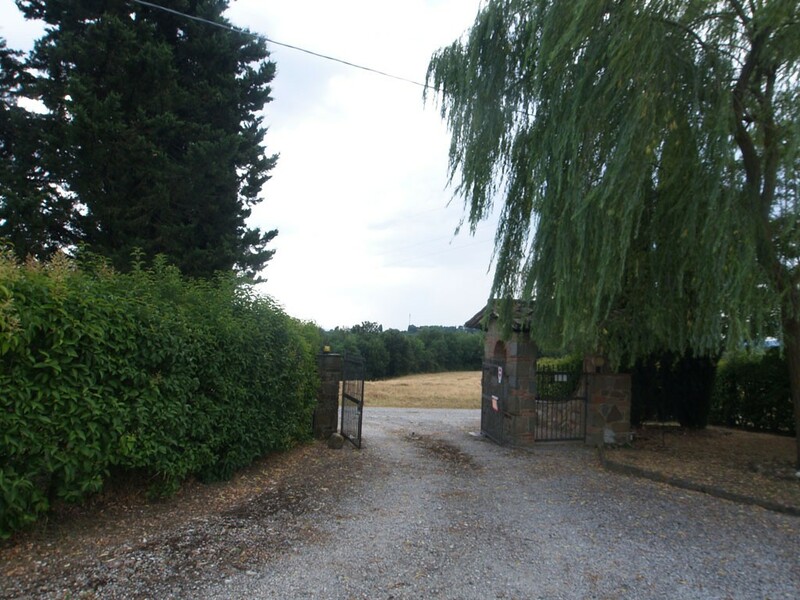 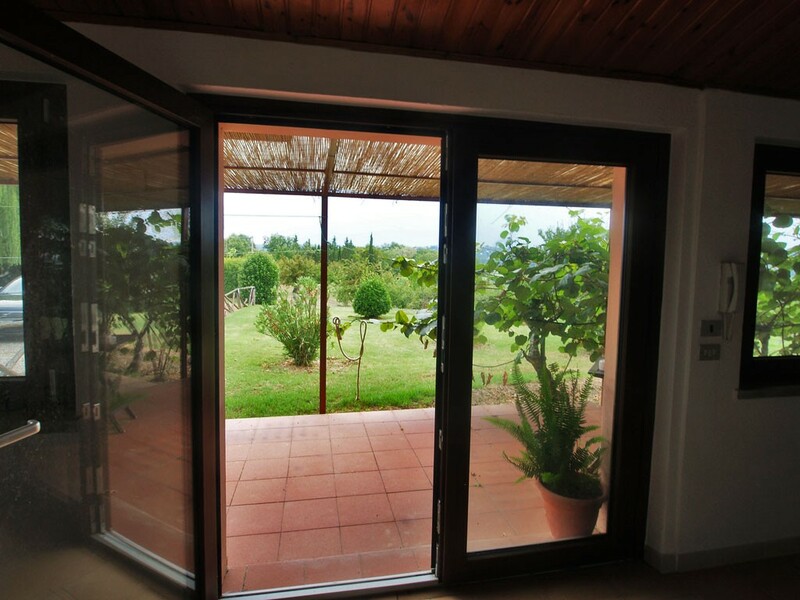 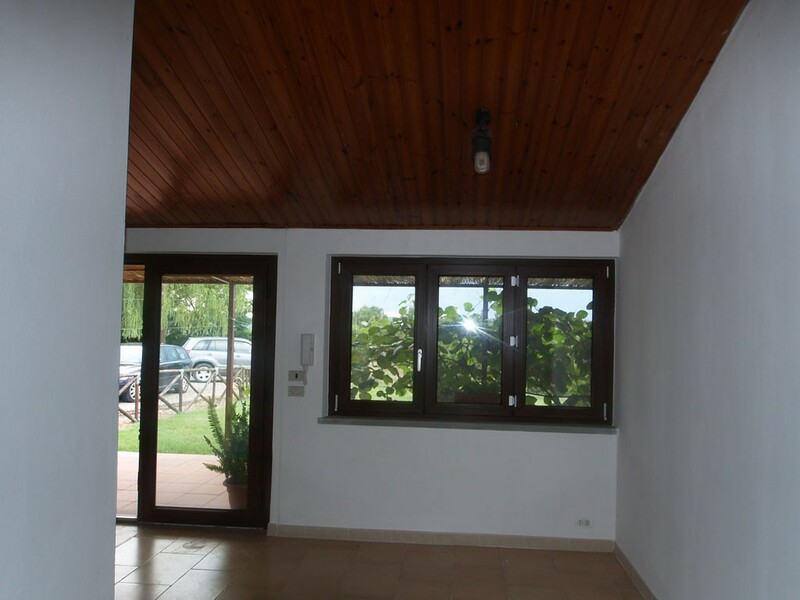 ), elegant carport and fenced 2 hectares of land with garden and olive trees. 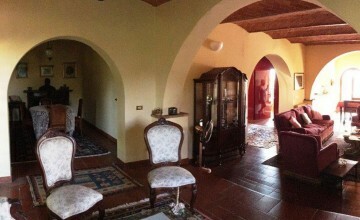 The main house has three levels. 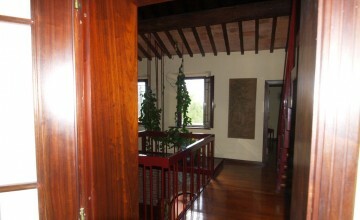 Ground floor develops around a nice patio from which one enters the main house as well as the guest house. 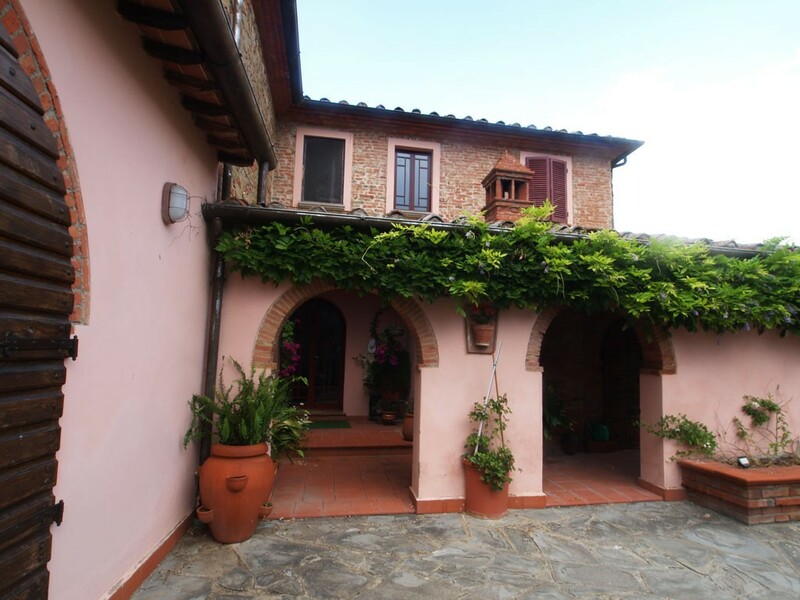 Passing through a beautiful atrium with bread/pizza oven, you enter the main house’s floor which consists of a magnificent triple dining room with open fire place, dining room, kitchen and bathroom, cellar and technical room. 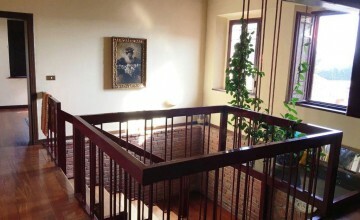 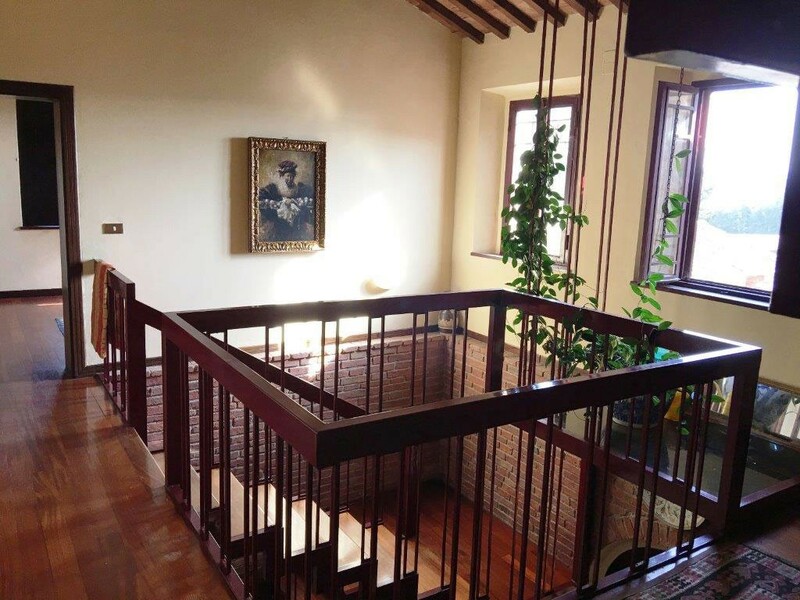 Large staircase in cast iron leads to the first floor which has five bedrooms and two large bathrooms. 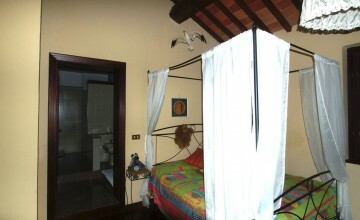 There is a charming and most panoramic room in the tower. 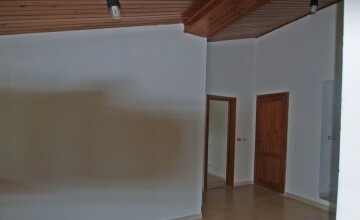 Interiors have been taken care of with great taste and no savings. 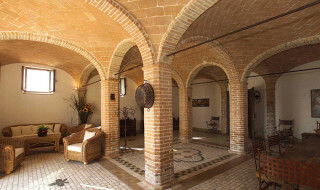 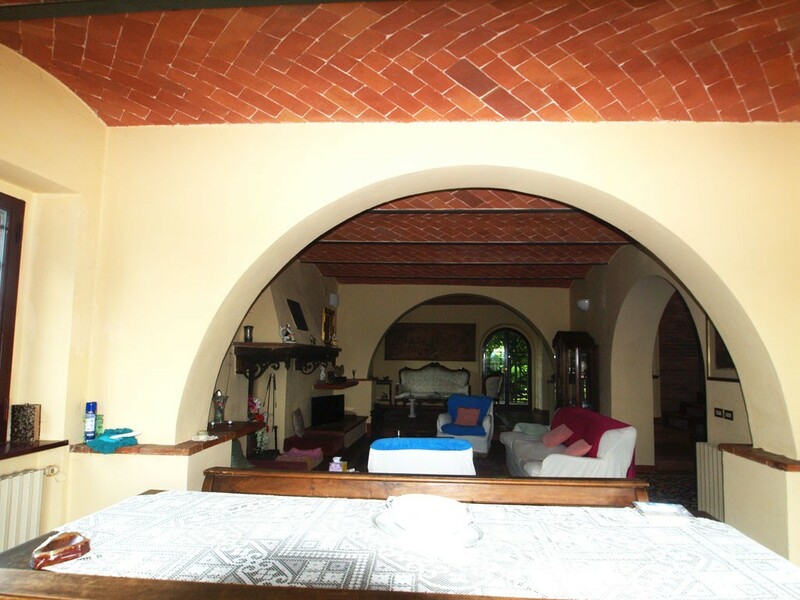 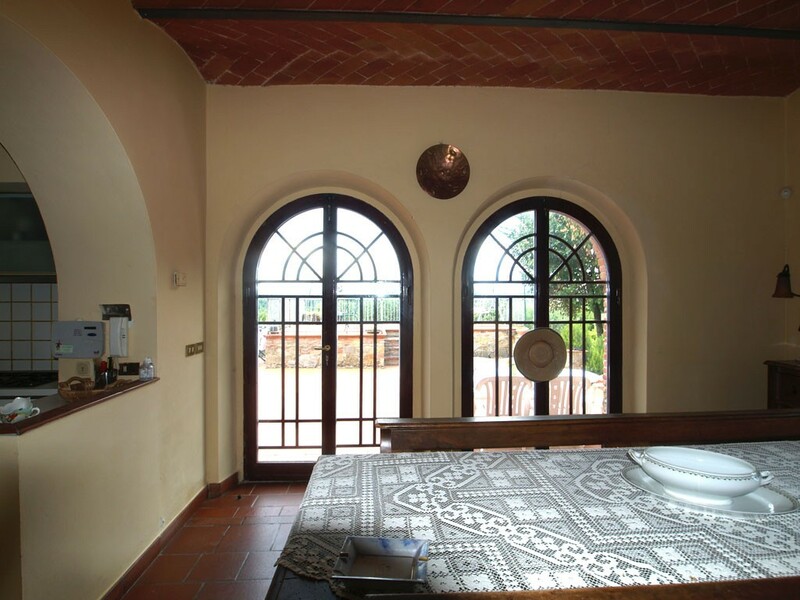 There are terracotta floors and vaulted ceilings on the ground floor, while the upper levels have wooden floors and beamed ceilings. 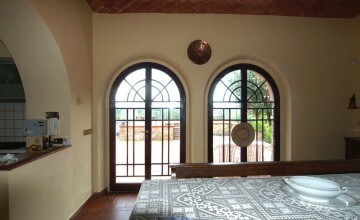 All rooms have large windows which allow plenty of daylight inside and also provide fantastic views. 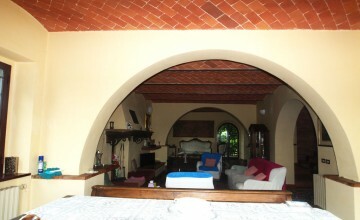 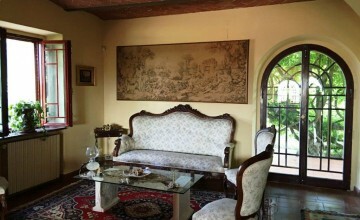 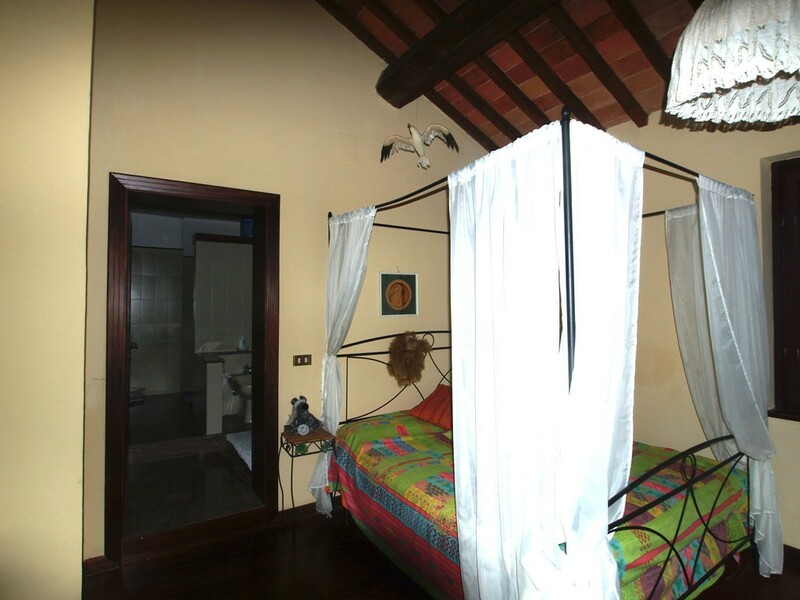 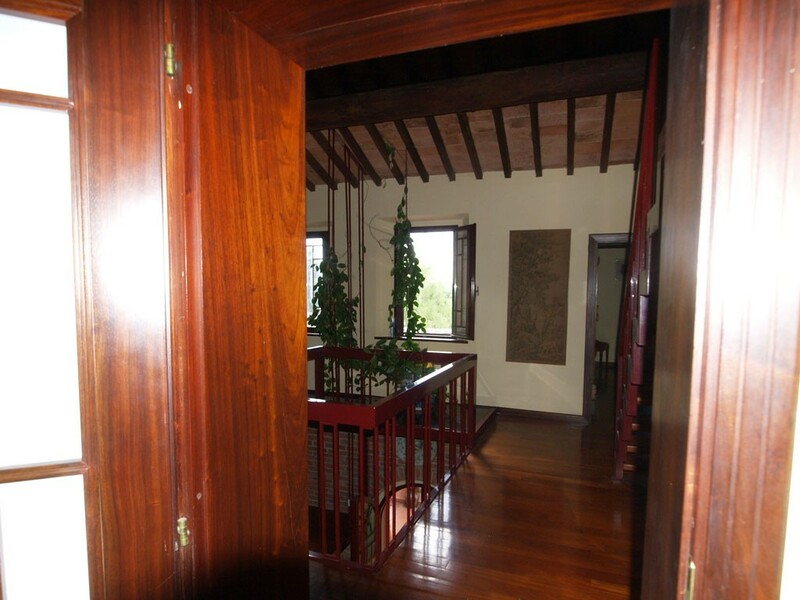 The guest house has a sitting room with open fire place, kitchenette, bedroom, bathroom and terrace. 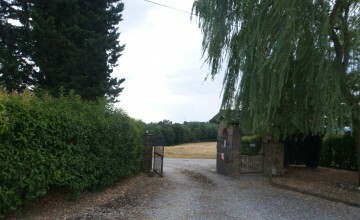 The fully fenced garden has several tall trees and plants. 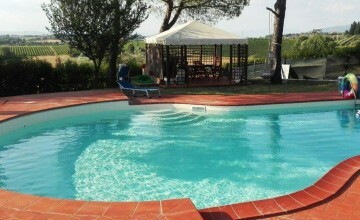 The panoramic pool with gazebo has been located in a panoramic position. 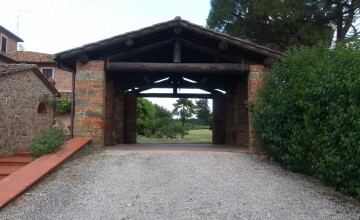 There is also an elegant, large carport. 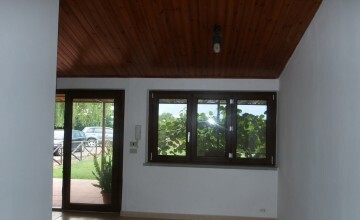 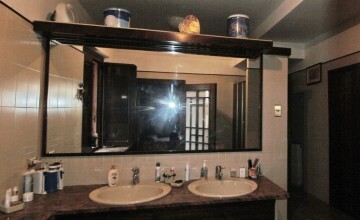 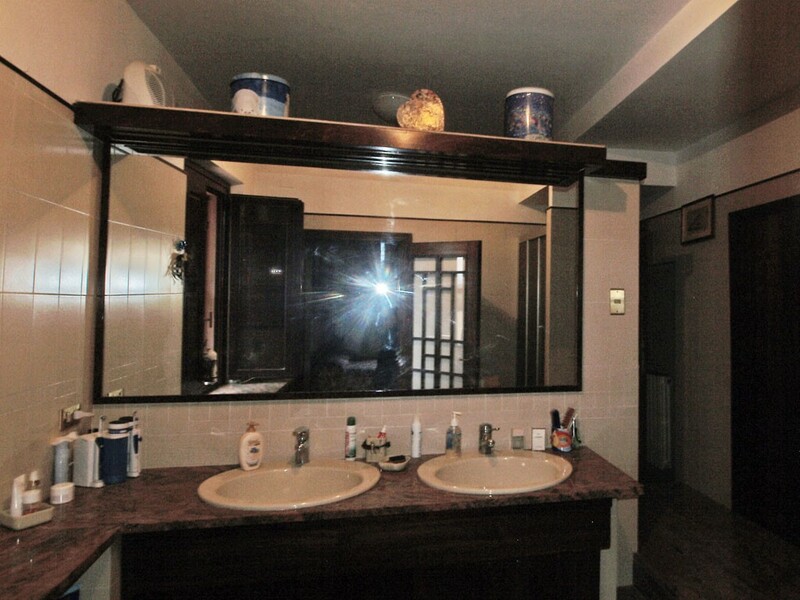 The property is being sold fully furnished and ready to move in. 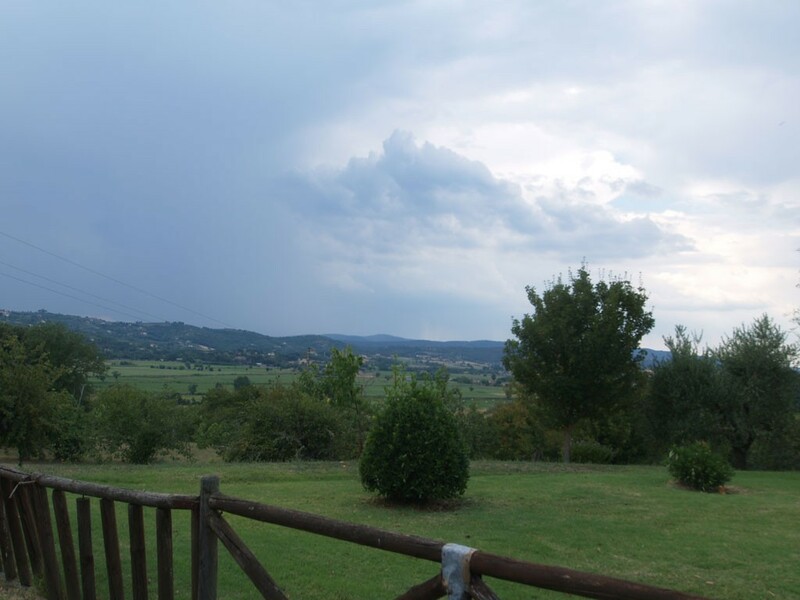 Distances: Foiano della Chiana – 2.8 km, A1 motorway and Siena-Perugia highway – 11km, Siena - 54 km, Arezzo – 31 km, Florence – 88 km, Perugia – 61 km.